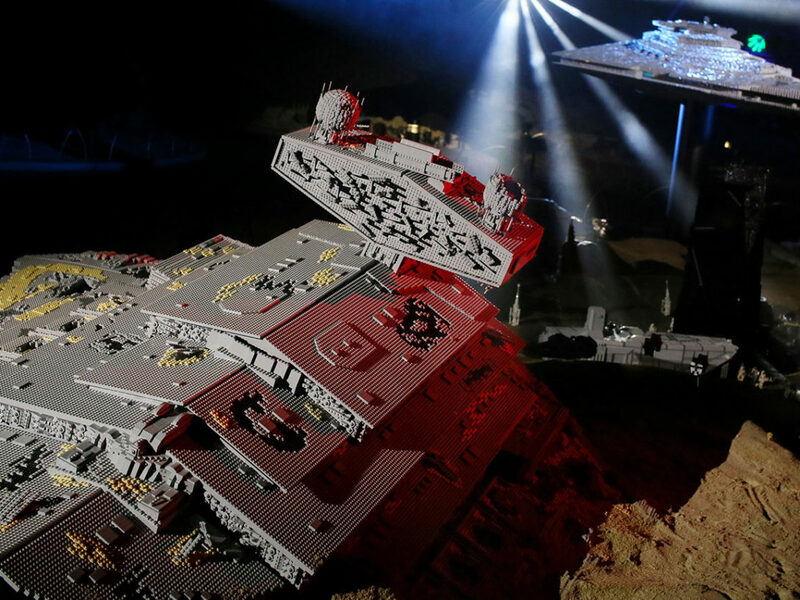 Ready to rebel...with LEGO bricks? Check out StarWars.com's guide for LEGO Rogue One products. 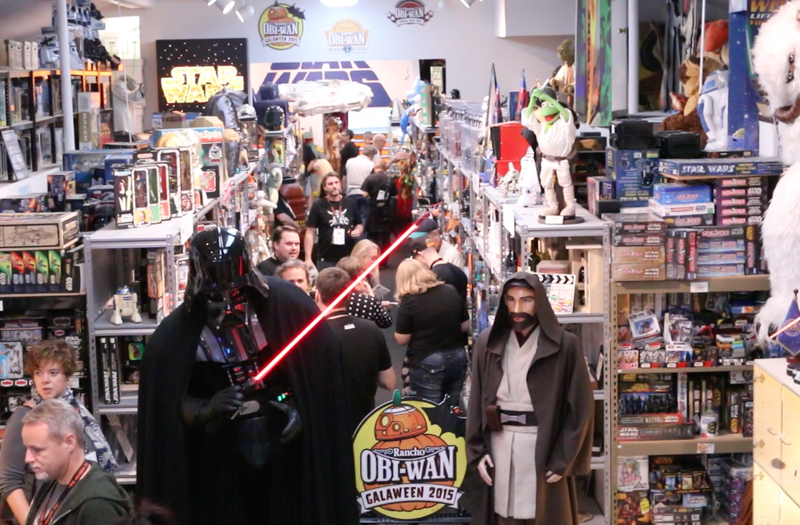 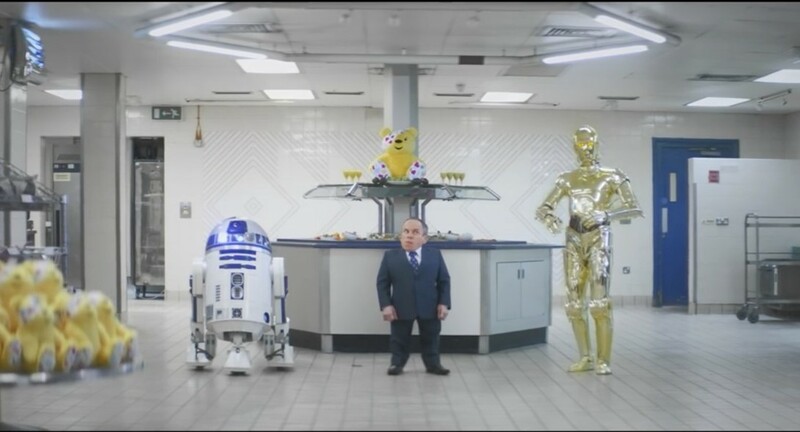 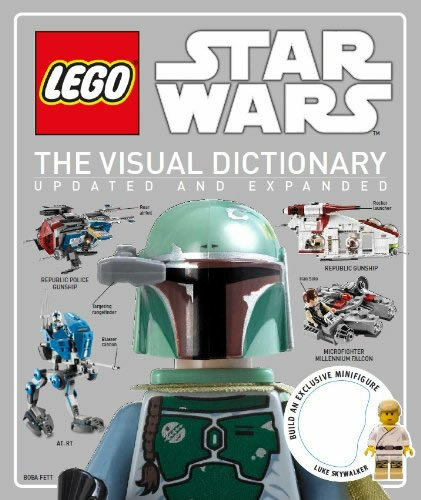 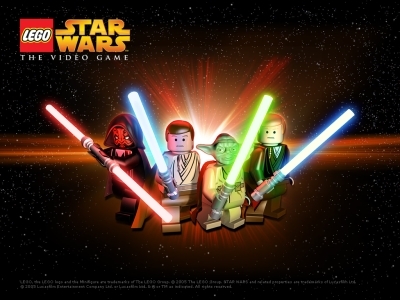 Since the release of the prequels in 1999, LEGO has been at the forefront of each new Star Wars release, whether it be a movie or a TV show, and Rogue One: A Star Wars Story is no exception. 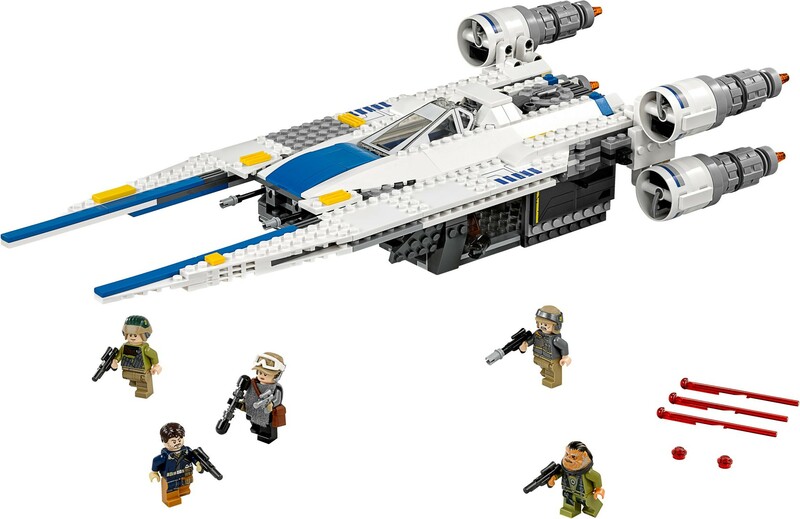 There are eight new sets available with price points to suit all, ranging from $24.99 to $89.99. 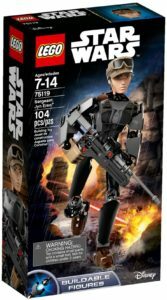 Each of the sets comes packaged in the new Rogue One-themed boxes featuring the ominous looking Death Trooper. 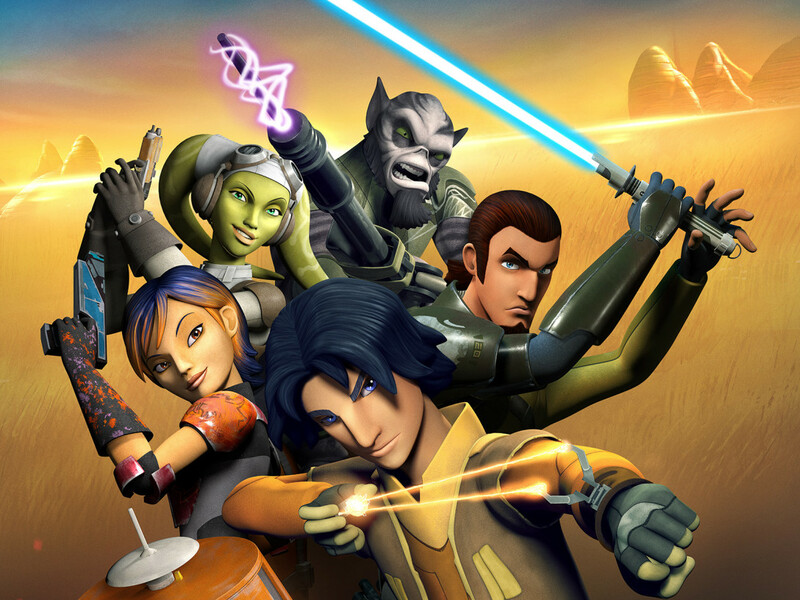 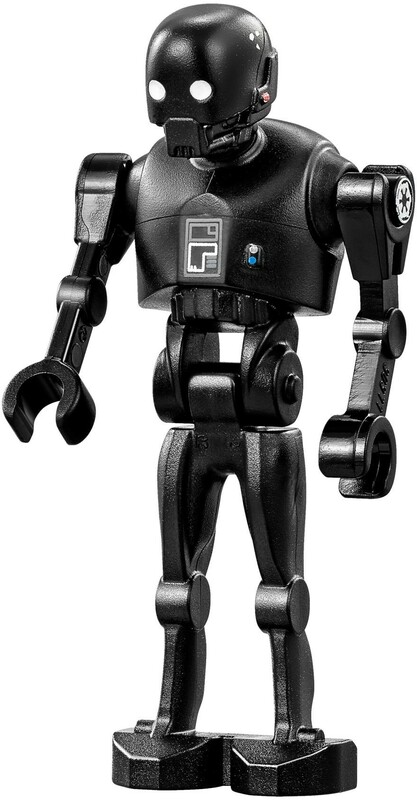 Let’s see what’s out there for LEGO rebels! 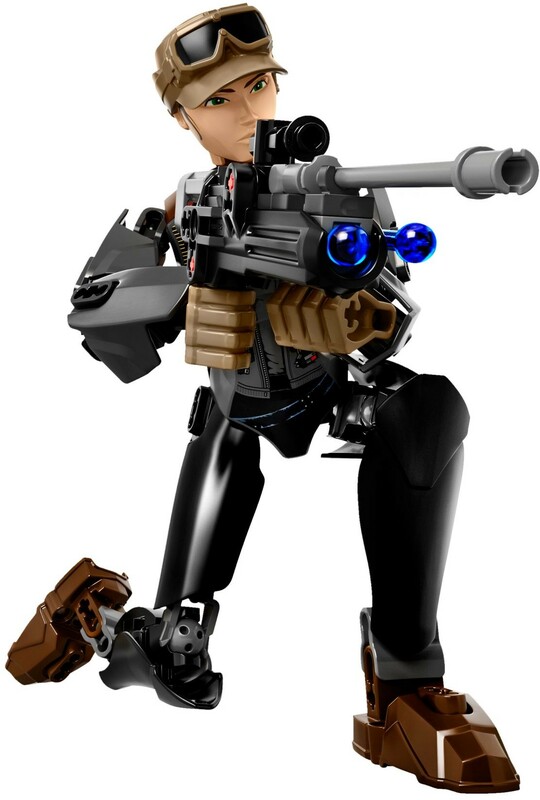 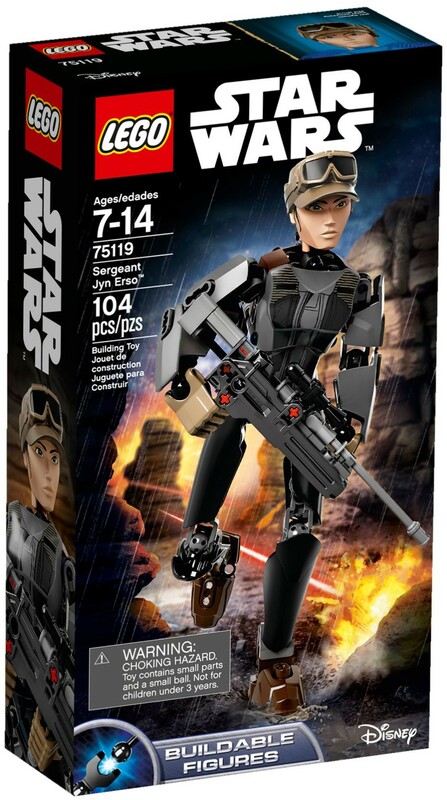 The popular Constraction or Buildable figures, first introduced by LEGO in the Star Wars theme last year, continues with three new characters from Rogue One — Sergeant Jyn Erso (set #75119; 104 pieces), K-2SO (set #75120; 169 pieces), and Imperial Death Trooper (set #75121; 106 pieces) — each are available for $24.99. 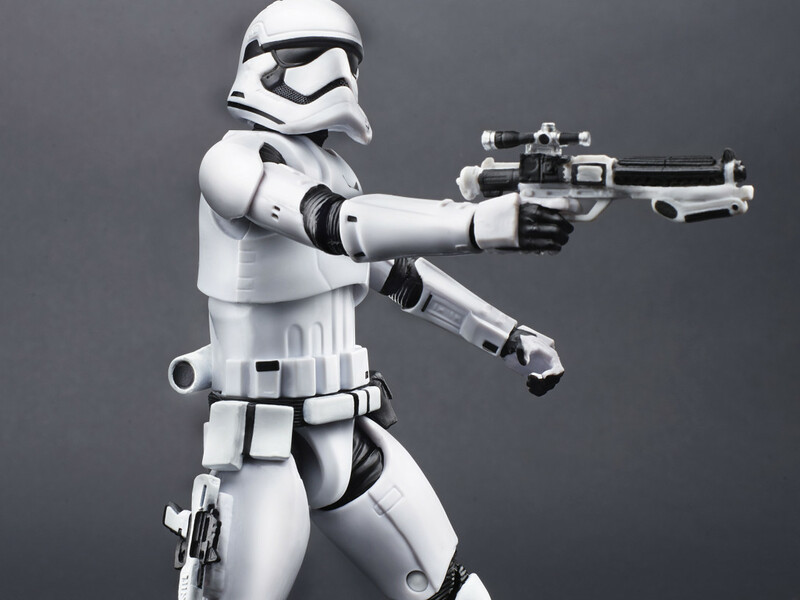 These impressive posable figures are all in scale with each other, with Jyn standing 9” tall, and K-2SO at over 11” tall. 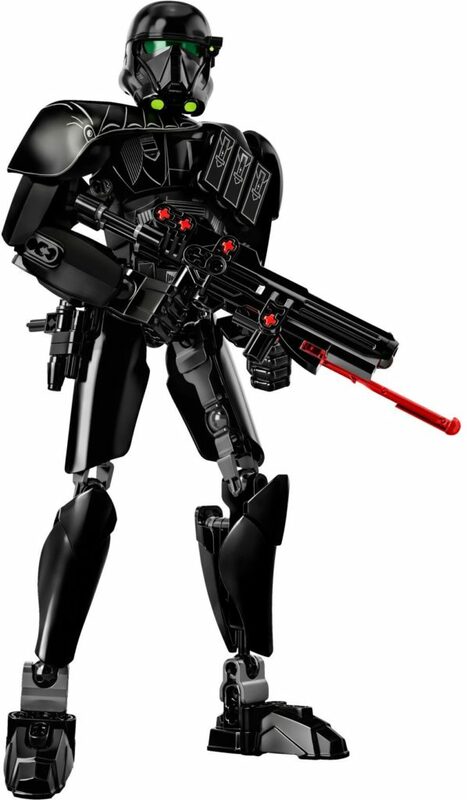 While Jyn and the Death Trooper feature blaster rifles with spring loaded shooters, K-2SO features a single/double arm-swinging battle function. 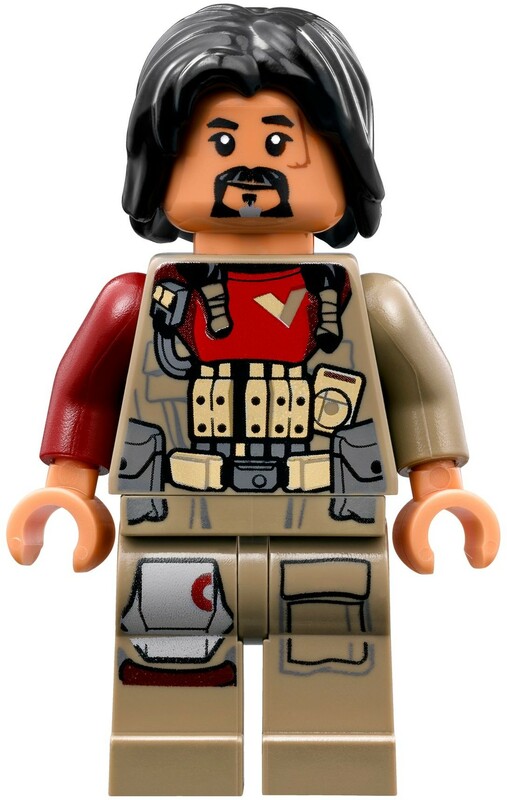 There are five standard sets available, each featuring with new minifigures from Rogue One. 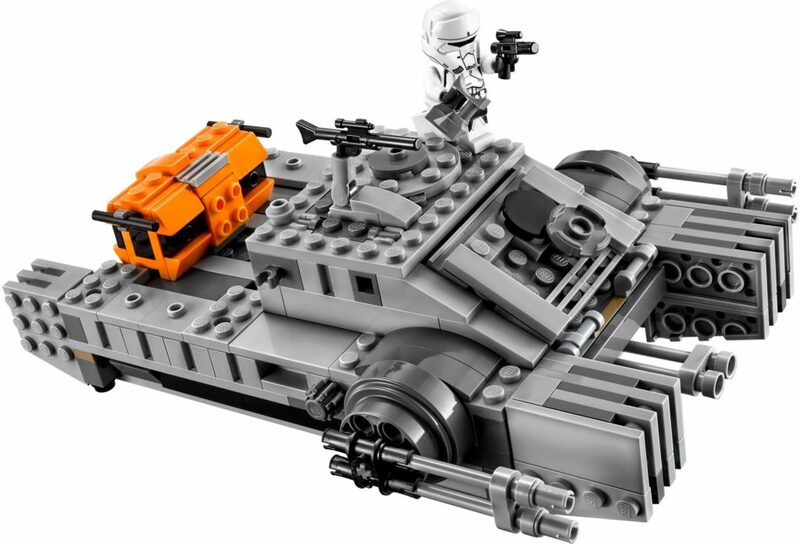 The first set, the Imperial Assault Hovertank (set #75152; 385 pieces) is seen in the trailers and is available for $29.99. 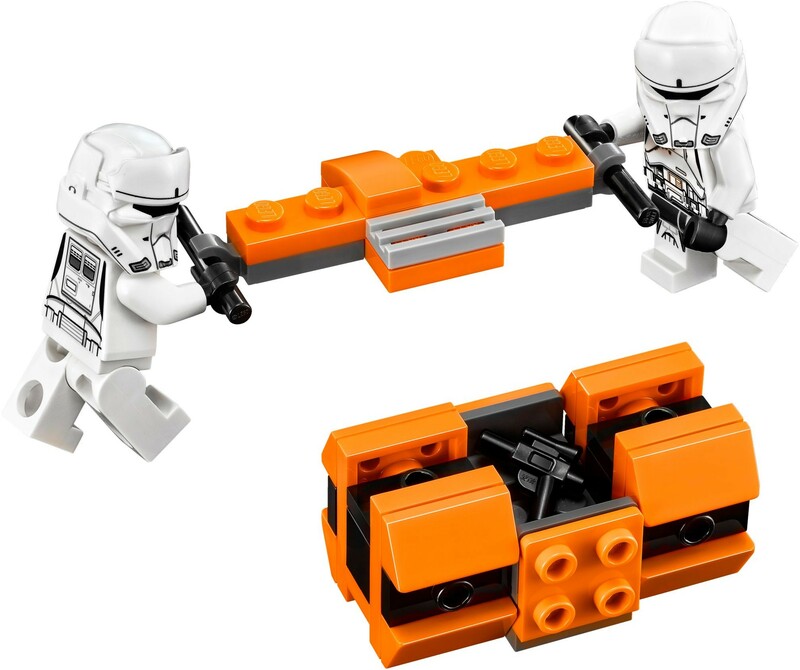 The gun turret features dual spring-loaded shooters, as well as elevating side guns and offers lots of play features enabling you to recreate favorite moments from the film. 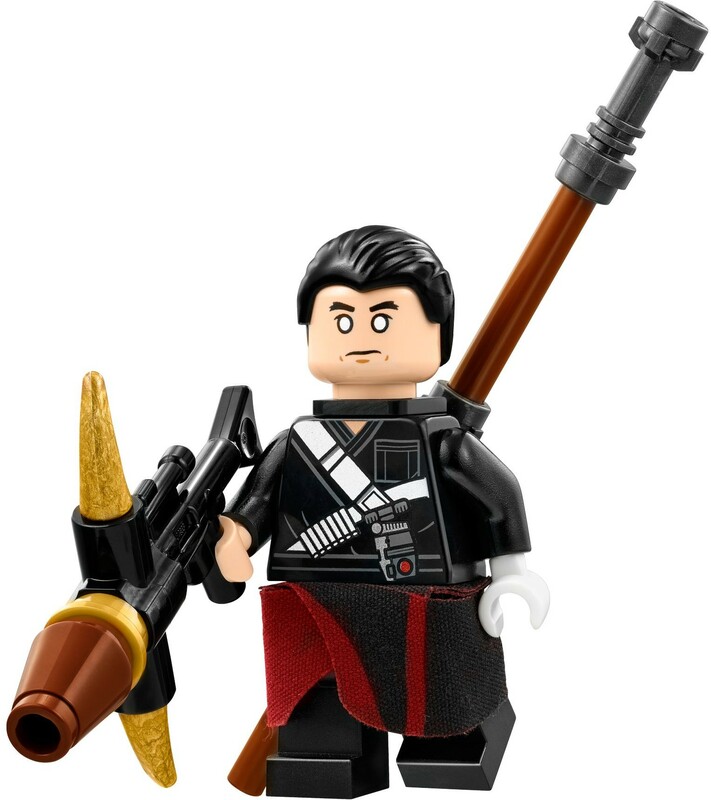 This impressive set features Chirrut Îmwe with his fabric cloak and two Imperial Hovertank Pilots. 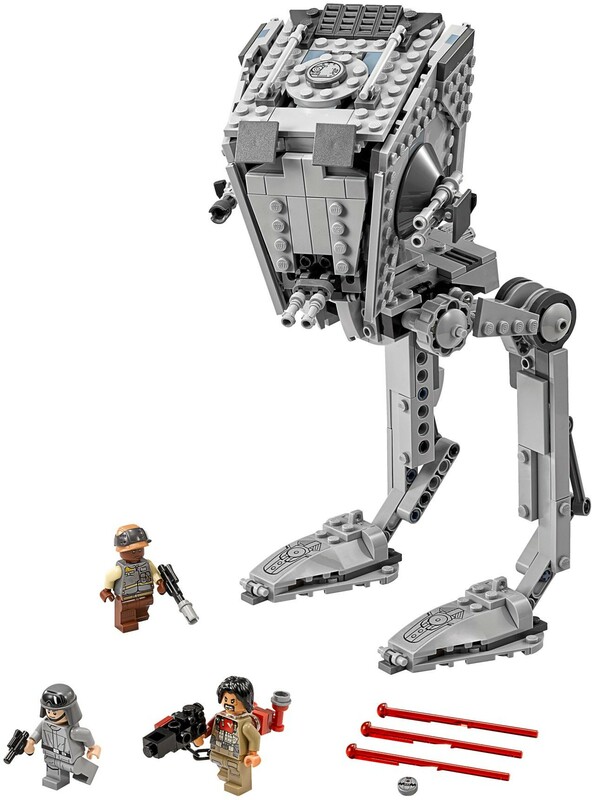 The ever-popular Imperial AT-ST Walker (set #75153; 449 pieces) makes a welcome return to Rogue One, with posable legs, an opening cockpit that houses its driver, and a wheel activated rotating top section. This $39.99 set also includes spring loaded shooters, and comes with three minifigures of AT-ST Driver, Baze Malbus (with his heavy blaster), and Rebel Trooper. 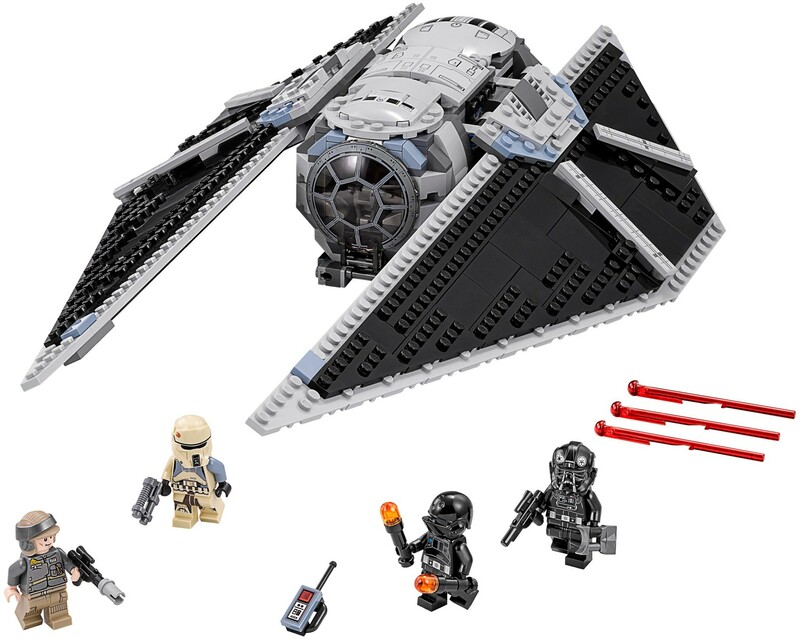 The iconic looking TIE Striker (set #75154; 543 pieces) makes its debut with its large adjustable angular wings, available to purchase for $69.99. 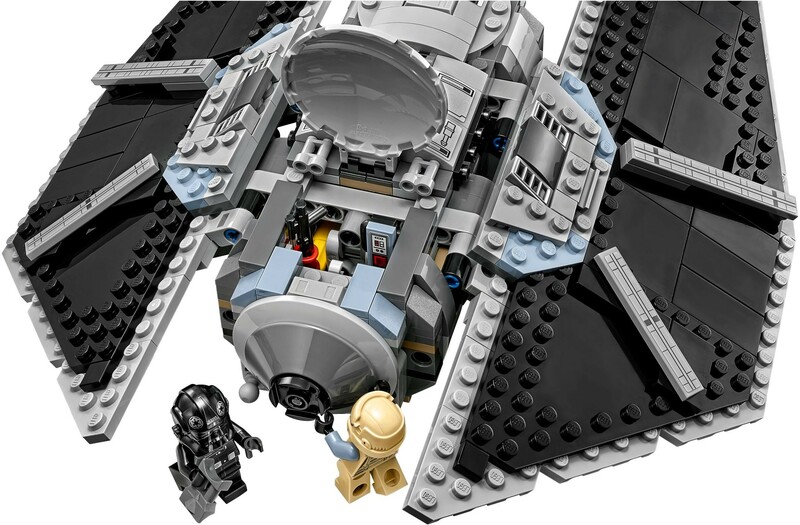 The new TIE has rear storage as well as an opening cockpit, front and top, that accommodates the included TIE Pilot. 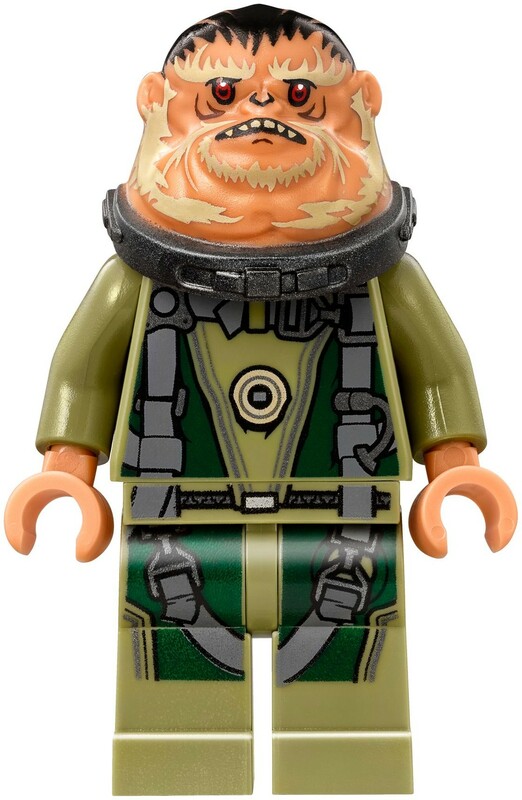 Three additional minifigures are also included — Imperial Ground Crew, Imperial (Scarif) Shoretrooper, and a Rebel Trooper. 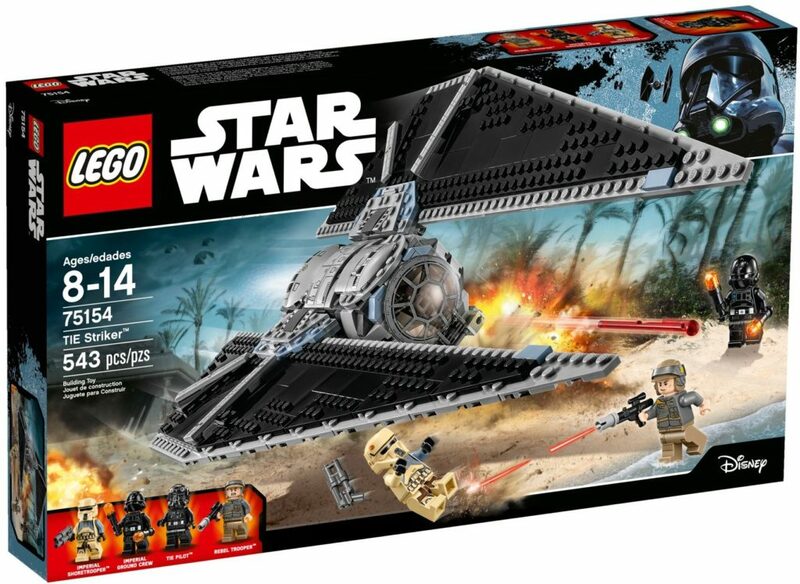 An Imperial ship such as the TIE Striker demands a Rebel counterpart, and also making its Rogue One debut is the Rebel U-wing Fighter (set #75155; 659 pieces). 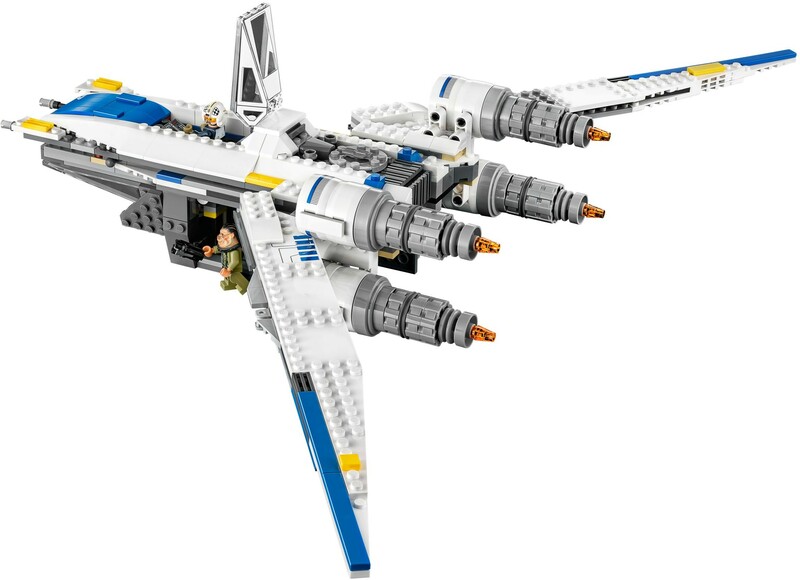 Priced at $79.99, the U-wing is an impressive fighter featuring four large engines, an opening cockpit, opening side doors for transporting cargo and people, dual spring-loaded shooters, and huge wings that sweep back and forth depending on the fighter’s flight mode. The U-wing comes complete with five minifigures including Jyn Erso, the film’s main protagonist or antagonist (depending on which side you’re on), Cassian Andor, Bistan, U-wing Pilot, and Rebel Trooper. 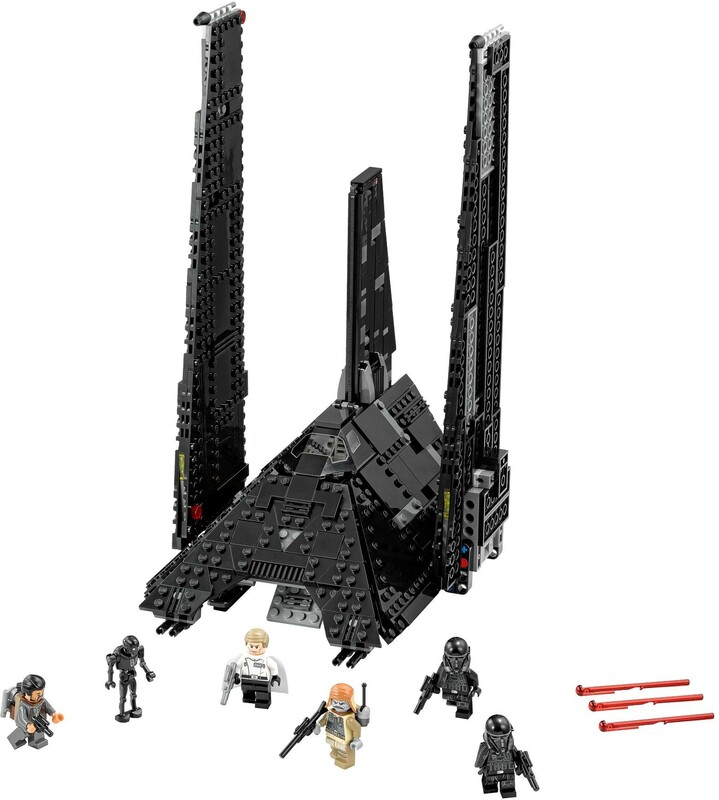 The final set is also the most imposing — Krennic’s Imperial Shuttle (set #75156; 863 pieces). 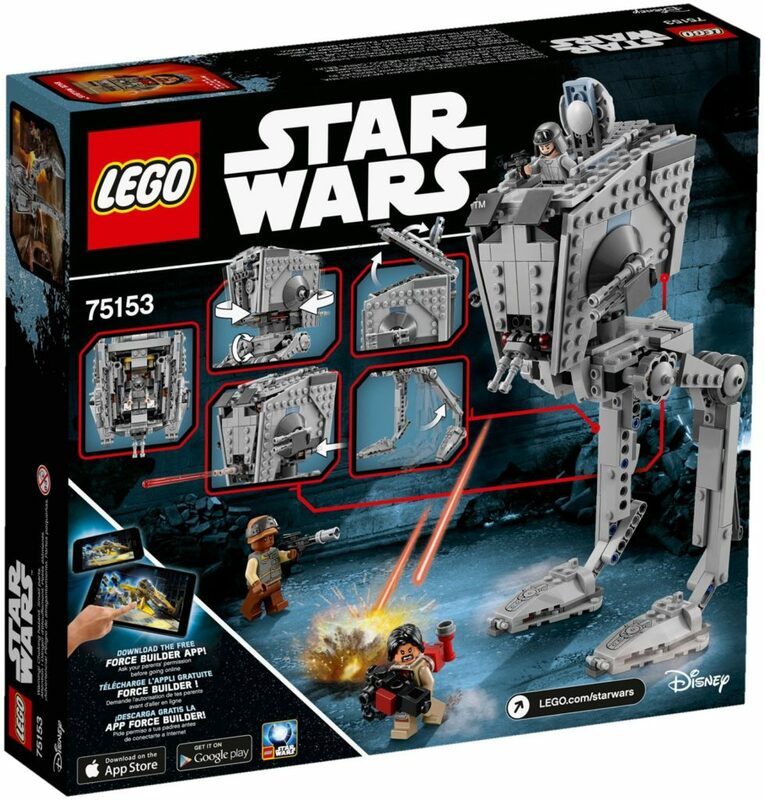 Director Krennic’s Imperial Shuttle is also the most expensive in the range at $89.99, but features 863 pieces and six minifigures including Director Krennic, two Imperial Death Troopers, Pao, Bodhi Rook, and also the re-programmed Imperial droid K-2SO. 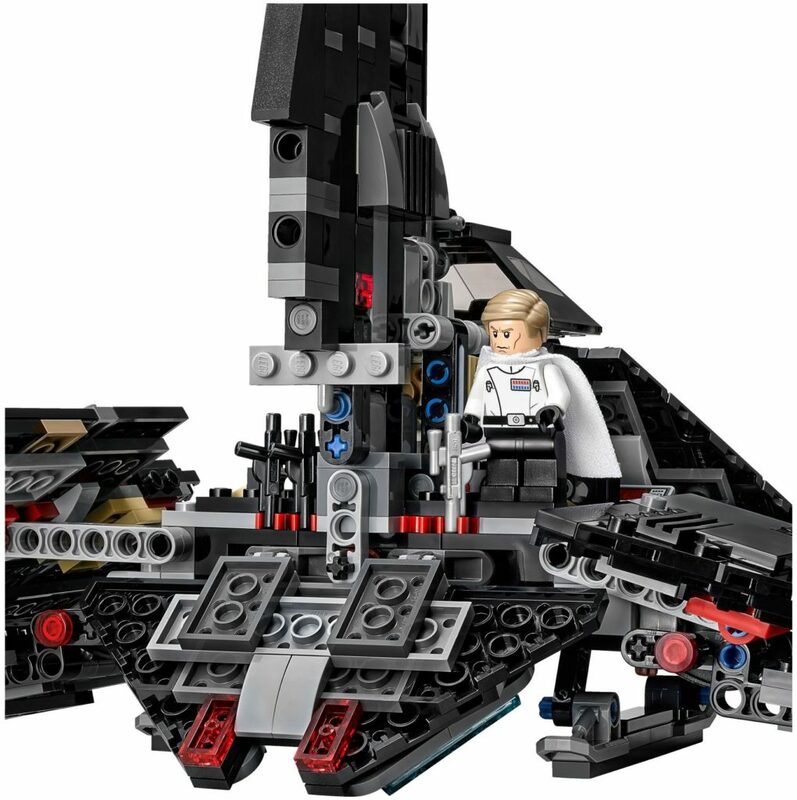 The intimidating ship features huge folding wings, much like other Imperial shuttles, although Krennic’s is black, rather than white. 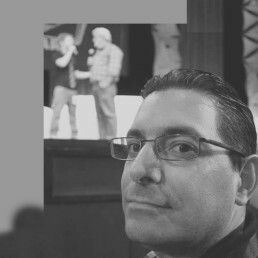 The front and side of the ship feature opening panels which adds to play value. 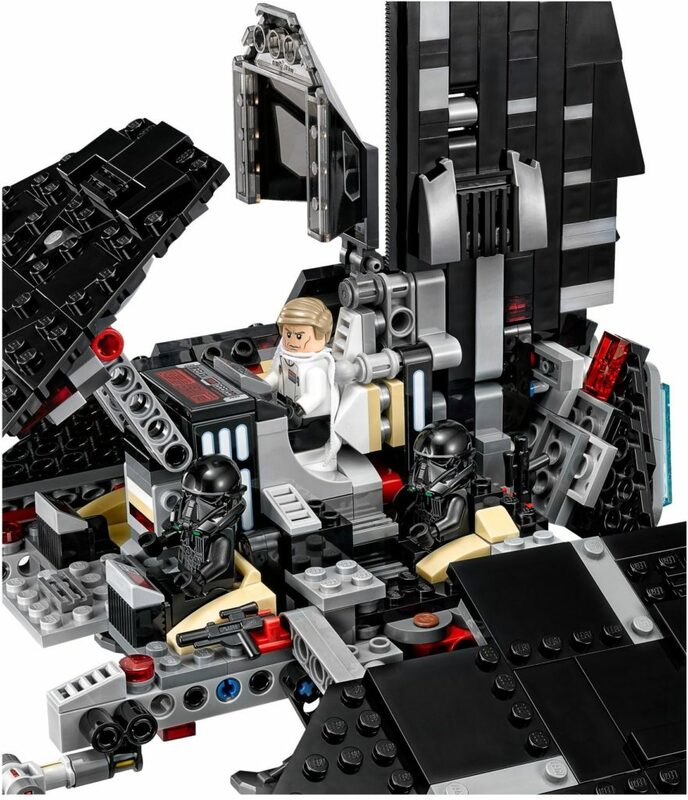 There is also an opening cockpit, rear ramp with storage, retracting landing gear and more. 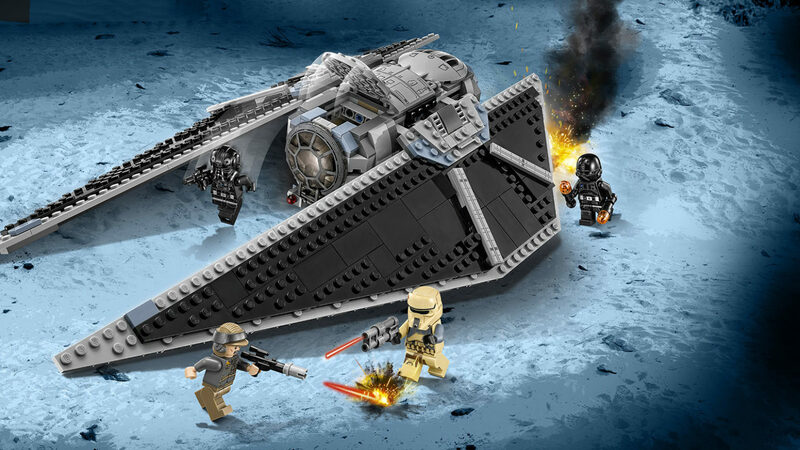 All the new LEGO sets from Rogue One: A Star Wars Story feature incredible detail and are the perfect addition to any LEGO Star Wars collection, allowing you to recreate your favorite moments from the film, or tell your own story. 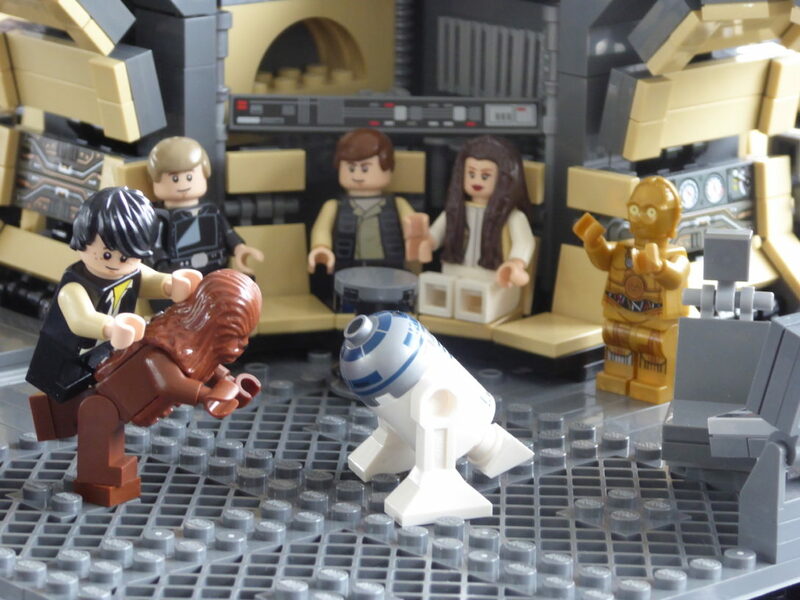 Happy building — and rebelling!